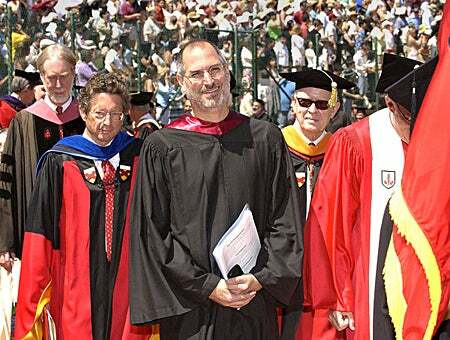 Famous words made immortal by a great man and a brilliant entrepreneur; you might have recognised the sentences from Apple and Pixar founder Steve Jobs’ Stanford graduation address from 2005. 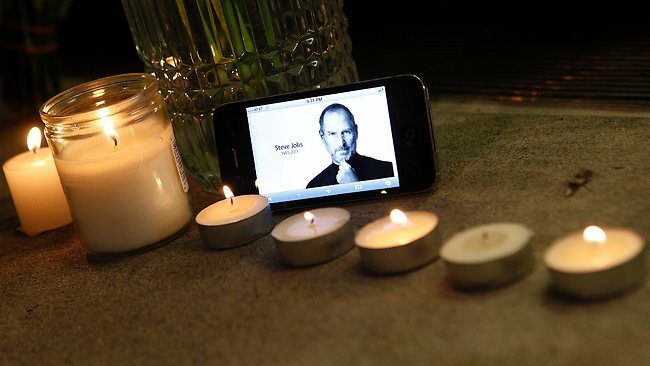 As you may or may not have heard, Jobs lost the battle against his pancreatic cancer this very year. I have own a series of iPods and iPhones and Apple is a label that I have close to my heart by some inexplicable reason. I mourn his death, like any death of great men, but what I aim to do in this post is to celebrate the gains of the year of 2011, not the losses. Today, I will use Jobs’ words to explain to you why this year has been the most inspiring in my lifetime, and why it should stick in your mind too. I started this year on the African steppes. On December 22, 2010, I flew to Zimbabwe to work at Mkoba Polyclinic, a healthcare centre in the suburbs of Gweru. The week leading up to New Year’s Eve of 2010 introduced me to lions, HIV/AIDS, and Zimbabwean society. It was indeed the start of a completely new chapter of my life (and honestly, I doubt that any of my old friends or even my family could escape this conspicuous change in my persona). On the 31:st of December, 2010, I celebrated en coming of 2011 by visiting an orphanage in Gweru. Meeting children who have lost their parents, I anticipated to be so touching that it would be sad. However, I was met by so much happiness and love, that when I left I did have tears in my eyes – tears of joy. It taught me, as an adopted South Korean Swede, that the perhaps most beautiful gift one can ever give to one another, is a second chance in the face of despair. I think it got me to think about the chance I got when I was adopted to Sweden in 1992, and that the children I met in Gweru probably never will get that chance. I took with me from that a desire to do as much as I can with my life, since I was fortunate enough to be given another shot at life from a fair position. This is something I believe people in the West, especially Sweden, lack today – appreciating the luck they had, which others did not. We all have to be hungry or more, to be so ridiculously searching for something more than just the pleasure of fashion clothes, gold watches, and earning money for yourself. These are children that will not get the same chances in life that I got, that YOU have. Honour your opportunities by giving back. That was the lesson I learnt. Coming home again, I took up a position at Burger King, a hamburger restaurant, as Shift Manager. In the beginning, a rewarding and challenging job, where I met a broad variety of personalities to teach, train, and lead. However, I grew very restless and tired of that job rather quickly as it does lack any higher purpose than earning money for big business by making people eat bad food and by trying to trick them into buying more and more of that inevitably deadly cuisine. Yes, Burger King was nothing for me. It became even clearer during February, when I went to London to be interviewed by Imperial College London for their Medical Faculty. It was an inspiring two days, and even though I was eventually rejected. I am trying again this year. Meanwhile, a new country was born. After years of conflict, starvation, and poverty, rather astonishingly, a referendum is held to decide whether or not Sudan will be split into a northern and a southern Sudan. Between January 9th and January 15th, a whole 99% of the southern Sudanese population voted in favour of separation and after decades of fighting, South Sudan was born as an independent state. Although South Sudan, as declared independent in July, today suffers from heavy problems and probably cannot be considered a functioning state yet, the separation was a tremendously brave step in the direction of a more peaceful – albeit still very poor – Africa. A star is born: with the independence of South Sudan, the previously green triangle is coloured blue and a golden star is added to it. After weeks of protests, Tunisian president Zine el Abidine Ben Ali’s government falls and Ben Ali himself flees to Saudi Arabia. Protests on large scale began when 26-year-old Mohamed Bouazizi burned himself to death in protest of a state official’s heckling and confiscation of the street vendor’s goods. Mass mobilisation occurred spontaneously as the coffin carrying Bouazizi was taken through the streets (not a quiet burial, as the police urged the family to). One of the most telling pictures shows President Ben Ali beside Mohamed Bouazizi’s severely burnt body in the hospital, just before the martyr’s death. Ben Ali – in black suit – and Mohamed Bouazizi – in blackened skin from the burns. The power of the internet was demonstrated as a means of communicating and synchronising protests and exchange ideas not only over the border but also within and between the protesters in Tunisia. The internet has since been used as the main source for organising opposition – marking the importance of a universal channel. Facebook, Twitter, Youtube, and Flickr have proved to be vital mean of sending information and media back and forth between rebelling youth, families, politicians, foreign media, and for us in the West. Without the internet, the revolutionary spring would never have gained the momentum and magnitude to shake the rule of dictators. President Hosni Mubarak of Egypt had up to February of 2011 ruled the country since the assassination of the well-known peace-seeker Anwar el-Sadat. Ben Ali of Tunisia might have ruled for 23 years, but Mubarak’s reign of 33 years makes him the longest ruling head of state in Egypt since the 1800s. It took 18 days of protests – that is, less than three weeks – until the former Air Force Chief Marshal resigned, but handed power over to the now infamous Supreme Council of the Armed Forces (or: a military ruling council, a junta). Since 1967, a State of Emergency has been active in Egypt, effectively giving the government legal right to use secret police, torture, and violence to curb disturbances and unrest. The junta’s accession to power has proven to be the tricky part; Mubarak himself is allegedly in a state of coma since July and today the junta is holding on to power, with the masses gathering once again to oust an oppressive rule (traditionally, Egyptians consider the military more honest than the said-to-be corrupt police force). 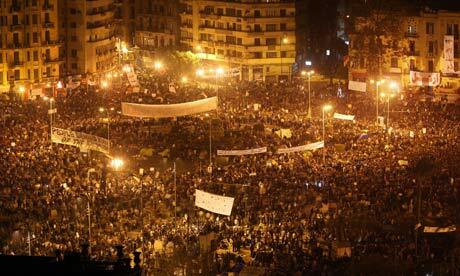 Tahrir Square – made a symbol for the power of the masses, the vox populi: the people. Tahrir Square – the birth of the mass movement in Egypt – is today the symbol for mass demonstration, and has become a rally point for anti-junta protesters. An antagonistic movement is gathering at ‘Abbasiya Square, with people tired of protests, violence, and uncertainty; they are not necessarily conservative Mubarak supporters, but can be families fed up with not being able to walk the streets, youth satisfied with the ousting of Mubarak, and regular people just wanting peace and silence for once. The situation today is that of a cross-road in which Egypt – people and government – must reach a reconciliation or compromise regarding the political future. At the moment, Tahrir Square’s idealists stand against the pragmatics at Abassiya, and the State of Emergency of the country has not been lifted by the council, although this was a main demand of the Arab Spring protesters. The Tsunami that swept over north-east Japan on March 11 killed almost 16 000 people, injured 6 000, and there are still 3 500 people missing (presumed dead). It was the result of the strongest earthquake in the area for 1 300 years. The costs of repairing the damages is estimated at £100 billion, not regarding losses in trade, falling stocks, and other direct economic facets. The Japanese Red Cross saw an influx of money from all over the world as a stunning $1 billion was donated. I was shocked by how nature was able to demolish human society over the period of just a few hours, and we all watched how the wave hit inland up to 5 kilometres into the island. It was not just a wake up call or a warning – now nature hit us back with full force, and perhaps we should remember our helplessness against Mother Earth. It may necessarily not be about giant water masses, but can be about smaller things such as taking the bike one time a week instead of the car, or to start pre-separating your garbage at source. In the aftermath of the tsunami, we all followed the heroic measures taken by the staff at Fukushima nuclear power plant. Experienced workers went in to survey the damages and to prevent an explosion (that would have made north-east Japan uninhabitable for thousands of years). Risking sensationalism, I would say that the plant workers that were active in the aftermath of the tsunami displayed great morale, courage, and determination – I doubt that I would have dared even stay inside the evacuation zone. The Libyan Civil War is perhaps the most covered event of the year, including daily news reports from television, radio, and paper media. We witnessed the fall of an alleged autocracy and corrupt leadership, but there is a long background that actually does not suggest a violent overthrow of an otherwise socially sympathetic leader. Here is my brief version of what led up to the Libyan Civil War, and why it happened. 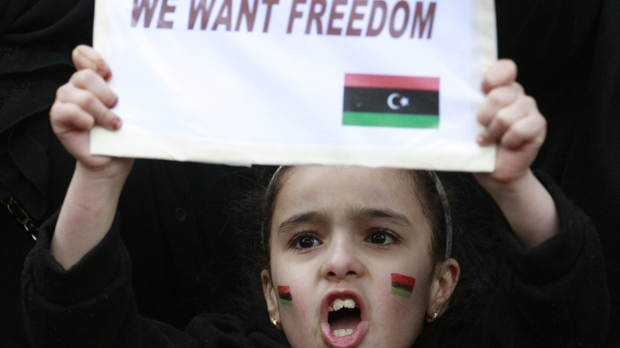 Unrest had grown quickly in Libya, just as many other Middle Eastern states, up to 2011. Muammar Gadaffi took power in a bloodless coup in 1969 (that is, 42 years ago) and did improve the economy of Libya greatly by raising the prices of exported oil, making Libya debt-free. He introduced the Jamahiriya State, or ”State of the Masses” which meant numerous social reforms with rigorous results: literacy reaching 90% (from 10%), life expectancy rising from 57 years to 77 years, equal rights for blacks and women, introducing a welfare system with free education, healthcare, and fiscal assistance for housing. So, what toppled this evidently socially emphatic leader? Initially, Muammar Gaddafi’s rule improved the lives of the Libyan people and the state of its economy – so, what went wrong? The main problem might be that which follows every revolution or toppling of rule: the orthodox revolutionary versus the contra-revolutionary forces. This essentially means that after a revolution where a rule has been overthrown, there are two antagonistic forces struggling for power. The first is composed of those who want to continue the revolution and bring about even larger change (historical references here could be Leon Trotsky and Fidel Castro). The second comprises those who want stability and peace and are willing to give the new rule a chance (examples are Social Democrats in newly formed Soviet Union and Michael Collins in the 1922 Irish Easter Rising). As the government held on to strict control of the people, I label Gaddafi’s rule to be pro-revolutionary and one that wanted to progress the revolution. Security and media control, corruption, and heavy reliance on oil eventually led to civil unrest following the Arab Spring, and when attempt to quell the protesters failed, an evil circle of chaos emerged and developed into a civil war. The revolution and Civil War marked a transition in governance, and hence of flags. The Jamahiriya green flag was changed to the pre-Gaddafi model Kingdom of Libya flag (1951-69). Rebel fighters were at first undermanned and under-equipped, but as NATO decided to join them, the path of the war turned against Gaddafi. He criticised the masses for being ”drugged” and blamed al-Qaeda for the insurgencies. At one instance, he said that his people ”love me. They will die to protect me.” In the ensuing NATO bombings of pro-Gaddafi supporters, the rebels advanced quickly on Tripoli and on August 25th, following the rebel-seizing of the capital, even the Arab League stated that the anti-Gaddafi National Transitional Council was the governing body of Libya. The leader went into hiding and NATO pursued him. On October 20th, the National Transitional Council officially announced the caption and death of Gaddafi in his home town of Sirte. 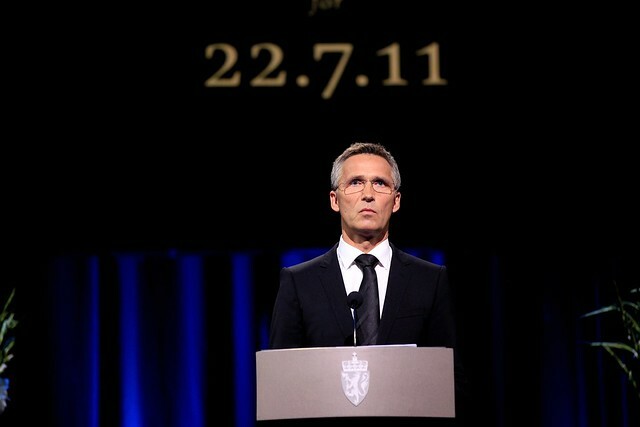 The importance of NATO aid can be symbolised by the fact that it was a US Predator Missile that destroyed the vehicle convoy in which the ex-leader was travelling, which exposed him to the rebel forces that eventually would kill him. Today Libya is governed temporarily by a National Transitional Council that is to issue voting and the establishment of a new Libya. The Arab Spring has taught me the virtue of speaking up for your rights. The sacrifices that the people all throughout the Arab world, already at this early stage when nobody knew that they would turn out victorious (in many, but not most cases), made is to me something to honour. We in Sweden would never, NEVER, have the courage to even speak up at work if we hear something we do not agree with, or if somebody is treated unfairly, or if we see that something is just not right. I am salute those brave men, women, and youth that went out to the scare to confront a regime that had the clear advantage in arms and jurisprudence. It gave me the confidence to walk an anti-racism march through my city of Eskilstuna earlier this autumn (something otherwise would be considered corny and nerdy here in our ‘sophisticated’ west) and at the moment I am trying to join the Swedish Social Democratic Party’s youth branch. I want to make my voice heard; not to favour my own situation, but for the betterment of the greater masses, of the people without voice, and those who are not listened to. That is what politics and our consciences should be about, not favouring those who already have everything. Be it as a masked protester in the massacred masses of Syria, or be it as somebody at least speaking up in a city branch of a political party – we can make a difference, but it will not come to you and it will not be free of charge. Sacrifice in Sweden does not entail risking your life in mass protests, throwing rocks at government tanks and soldiers. Sacrifice here is about not be bothered that those extra £50 every year goes to the welfare treasury of the nation or to the very poorest in the Third World. Sacrifice, my friends, exists at many levels and it is up to us to dare make it. US representatives say they killed him and disposed of the body, but we never got to see it. Conspiracy theories arose quickly, and I am among those who at least doubted the truthfulness of the alleged killing before al-Qaeda themselves announced that they will carry on their actions even without Bin Laden as their leader. 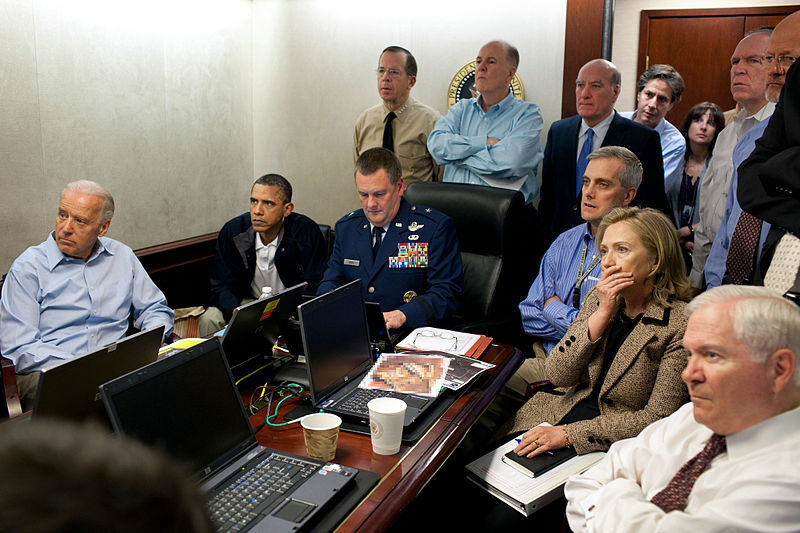 The importance of the hunting down of Bin Laden is perhaps just as strategical as it is symbolical to the American people. Me as a Swede have little affiliation to American patriotism, and am very critical of their zealous nationalism, but I think I can come to terms with that the US had retribution to take from Bin Laden. Obama has stressed the importance of completing the mission in Afghanistan, and killing Bin Laden was one step (perhaps one of the most important public steps). It also increases his support in the US amongst those directly influenced by the 9/11 World Trade Centre suicide attacks, in the southern states, and amongst patriots. Normally, I would not have supported such extensive actions deep into Pakistani territory (I think that we all feel how the US is active all over the world) but Obama is a leader with a great ideology, reasonable aims, and with social sympathy and intelligence. He is one of few Presidents I would actually accept to perform such missions abroad. SEAL team 6 performed Operation Neptune Spear delicately without any friendly deaths and, to be honest, I was rather impressed that they had the competence to search Bin Laden up (after 10 years of nothing…). Bashar al-Assad. By the West, regarded a brutal dictatorial tyrant. By his supporters, a hero plotted against. The protests against Bashar al-Assad in Syria had been ongoing since January 26th, but it is an incident in June that places the Syrian Spring down here. On June 6th, three months into the mass movement of the Syrian Spring started, the state-controlled media announced that armed protesters had killed 120 officials in, and taken control of, the western city of Jisr ash-Shugur. This was rapidly denied by people in the city, who said the 120 were defectors from the Syrian army that were killed for non-allegiance to the government. Thousands of inhabitants of the city fled to Turkey as al-Assad ordered the army to retake the city by force. This marks the start to the bloodiest demonstrations apart from the Libyan Civil War of the Arab Spring. Up to date, around 4 000 people are estimated to have been killed by Syrian forces as al-Assad has no plans of stepping down. The Barbara Walters interview just below sheds light upon al-Assad, a good interview to watch to try to understand al-Assad’s side. I did not actually know that he was educated in England, a doctor (! ), and he seems to be a calm man if we compare to the likes of Mubarak and Gaddafi. He talks about public support, and I think there is nobody in the world today that can judge who has got the most support in Syria, the regime or the rebelling protesters. It is important to understand that not all people are against al-Assad. Here demonstrations are held in favour of the leader. 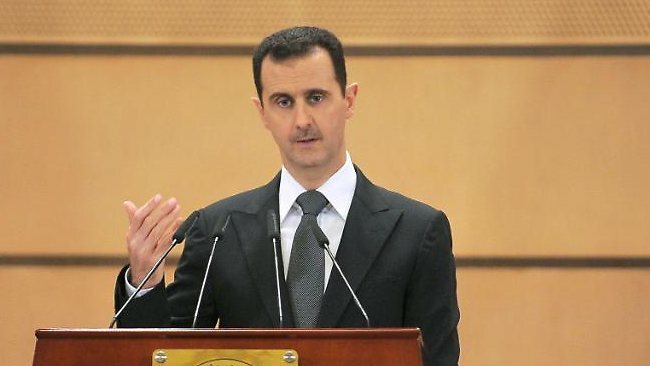 al-Assad claims that the problem is not the peaceful protesters, but is those who are armed and opposed to the regime. He says that most of the people killed actually are pro-government, which is rather difficult to find accurate statistics on but those I did find actually backed that statement, and that he is out to get those violently trying to overthrow the government. He also speaks of the support of the people and that he could not hold office without it. My picture is that he is a calm and logical man, who believes that he has the support of the majority and that he wants to avoid a civil war and a chaotic post-revolution aftermath (as that of Libya) by simply quelling protests at early stage. However, the line between peaceful, agitated, and violent protester is a blurry one, especially if you are a frightened soldier ordered to keep stability and avoid protests to spread. A philosophical problem, and one that is very evident throughout history as a major fault source of any regime. Apart from violent revolution, we have seen extra-ordinary medical advantages this year as well. One of these is that medical staff on June 9th managed to perform a transplant of an organ that was made artificially. 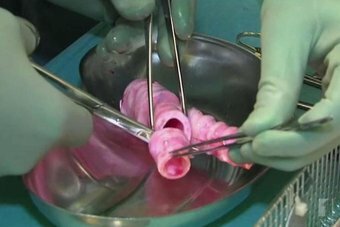 More precisely, a windpipe (trachea) cultured from stem cells around a synthetic glass scaffold template was transplanted to a 36 year old man with tracheal cancer. It was done in my home land of Sweden, at Karolinska Institute University Hospital (the best in Sweden) in Stockholm, with the aid from University College London (my dream university) and bioscientists from Harvard. Great innovative skill and a hunger to progress and develop – the future is bright for medicine. Since mid-July a severe drought has held the whole of East Africa in an iron grip. Some 13 million people are estimated to be facing starvation as a result of dying livestock and plants, lack of water, and disease following mass migration. Refugee camps have been swelling over throughout the region, with Dadaab Refugee Camp seeing 400 000 people living in a camp originally built for a tenth of that number. The area covered by the drought, as estimated by Famine Early Warning System (FEWS). Luckily, NGOs and the United Nations have been monitoring the situation closely and have been able to warn before those 13 million were actually starving. Of course people are suffering today, but I believe that we in the West have the opportunity to show our worth here. We have the resources, even personally, to save those suffering. It is so easy to donate money and clothing that all of us should do it, we are almost morally obliged to do it. This issue was covered mainly in the summer, but the problem persists throughout the winter as well. The bad weather and climate will not stop nor change, but we can make a difference here. It is not impossible to help the people that are forced away from their homes to be crowded into tents in a camp made only for temporary living. Somalia, Ethiopia, and Kenya are the three countries to be the most affected, and due to the presence of al-Qaeda-supported Al Shabab Islamic terrorist group in Somalia, relief have been constricted, people prevented from moving, and overall humanitarian effort been decreased. The United Nations have urged for financial relief of at least £2.5 billion, but only £1.1 billion had been given by September 11. Doctors Without Borders have made an immense difference for the suffering people in East Africa, but they need more funding. Find your country’s MSF section and give a little! I urge you, my reader, to do something. I have donated to UNICEF and Doctors Without Borders for months, and donated a bit extra before Christmas, but I cannot make the difference on my own You have to help, so please find a way and give just a little. Do what you can. Spread the word on Twitter, Facebook, or with your friends – make this disaster public, because it has not ended. We must not grow cynical, we must stay hungry and willing to help, to save the world! What started out as a bombing in central Oslo, killing 7 people, two hours later turned out to be the worst mass killing in Scandinavia since WWII. The rightist extremist terrorist Anders Behring Breivik shot 69 people to death on the island of Utöya. I still get very emotional when I think of it, so I am not sure that it would be appropriate to present the chain of events to you. I to some extent want to regurgitate all of my hatred on Breivik, but I will not because I am a bigger person than that. We all know what he did and why he did it – but we will never understand it, because he was so extremely orientated that he almost is depicted as crazy. It is not an excuse. He was not stupid, on the opposite he was probably very intelligent (he was an academic), but he had very wrong views on humanity. A bed of flowers for the victims of July 22, outside the cathedral of Oslo. That message of retribution and hatred has so far killed, injured, affected, and hurt thousands more of innocent in two wars in the Middle East. The Norwegian ‘model’ has nothing but spurred further pro-democracy talk and a stronger, united Norwegian people of all religions, beliefs, and skin colour. This event has shaped me more than the Arab Spring, natural disasters, and wars that I have experienced in my life. 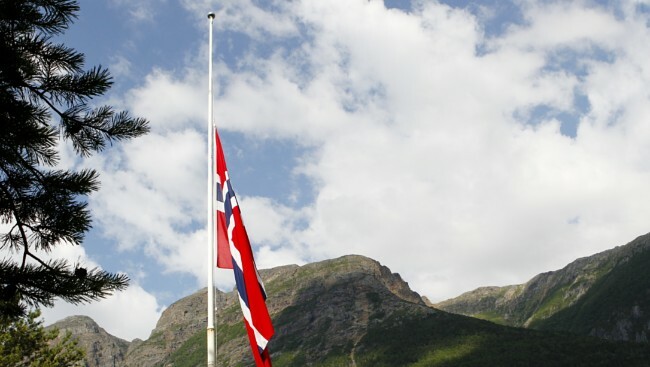 I felt it as an attack on my political conviction, on my personality, and on my fellow brothers and sisters of the Norwegian Workers’ Youth League. I will not be answering with message of hate. An important lesson. The flooding in South-East Asia starting on July 31, affected not only Thailand as we in Sweden might think from the limited press coverage, but half of Asia. Thailand, Cambodia, Vietnam, Burma (known officially as Myanmar), Laos, Pakistan, and the Philippines. The number of deaths is in thousands, with approximately 800 in Thailand, at least 250 Cambodians, 1 300 Philippines, 130 Vietnamese 450 Pakistanis, 35 Laotian, and about 250 Burmese. The costs amount at more than $53 billion (opens in new window). There are most often two different sorts of natural disasters to count in: monsoon (rains) and typhoon (storms). They have affected several millions and displaced just as many. NGOs have rushed to Asia to provide relief, but the effects of the disasters are still lingering up into 2012. At Burger King, I grew very cynical and restless by the summer of 2011. I had been working since the autumn of 2010 and with my goals of becoming a doctor I felt that my potential was being lost and my brain shrinking. So, I quit. I booked a volunteer trip in Dar-es Salaam, Tanzania, and quit. On August 27 I flew to Doha, Qatar, to take me further on to Dar es-Salaam in Tanzania. The view when I flew in over Africa: Mount Kilimanjaro majestically raising up towards me. The African Olympus symbolising adventure and hope. My African history began, as stated above, in Zimbabwe. In the poor suburbs of Gweru. It continued in the big capital of the Harbour of Peace. Working at Mwananyamala Hospital in the centre of the city proved to be challenging for me. I met tropical disease such as malaria and tuberculosis on such a grand scale that I never could have imagined before. It was scary just to walk into the halls of the hospital, and in the departments I was afraid of zic-zacing between AIDS, TB, and malaria patients. I was afraid of touching the beds, the sheets, the charts, and breathing the air of the facilities because I was not sure about my own safety. The Tanzanian doctors seemed too relaxed; I thought that they should be more tense and be doing more for the patients, just patients are treated back home. What I did not understand was that they met it so often that they eventually grew less tense and more secure in that environment. An AIDS case in Sweden would be more tense than one of the many AIDS cases doctors see at Mwananyamala. I am not sure if I was more afraid of the diseases or of the perception of the diseases as we have back home. I was so glad, though, to be there and witness what other 20-year-old in Sweden probably never see, and to learn from it as well. I met a wide range of personalities, from long-term doctors in the African climate, to widely travelling projects leaders, and young people in my same age with similar goals in life. It was a time for me to think my decision to study Medicine over, to try my own aspirations, and to find out if this was what I wanted to work with in the future. I do solemnly believe, after two trips to Africa, that I want to work in a social profession which is scientifically based and with the possibility to save and change lives for the better. I saw severe burning of young children in paediatrics, helped save a man’s life by giving him money for surgery, and assisted on a hernia repair, an inguinal bilateral herniorrhaphy. Rather unethically I accepted a proposal to scrub in and assist in surgery after only two days of observation. I learnt from it in the way that I understood how much is required from the doctor to proceed safely and with a backup plan. I also understood my own incompetence and that I should have declined the proposal, because if something had gone wrong I could not have helped with anything. This is hence an event that will guide me better in the future. Me in surgery together with a very competent surgeon leading the way. From August 27 to October 2, I revolutionised my world perspectives and view on life. On September 22, I climbed the Uhuru Peak (the highest peak) of Mount Kilimanjaro. After 8 hours of walking, four days in a row, I reached the very top of the highest free-standing mountain in the world. To me, it symbolised that I can overcome any obstacle I meet. I was exhausted from day 1, as I climbed the mountain and the air became continuously thinner. Walking 8 hours every day in a rocky, ice cold environment to almost 6 000 metres altitude is not easy. I honestly underestimated the amount of energy and determination I had to put in in order to make it to the top. That also involves a 30% chance of contracting Acute Mountain Sickness (AMS: the body not being able to produce the number of red blood cells it needs to survive in areas of lower oxygen concentration gradients). But, I made it. I made it. One of my absolutely most proud moments in life: cimbing Uhuru Peak at the very top of Mount Kilimanjaro. I brought Nelson Mandela’s picture all the way to Uhuru Peak, and was actually met by cheers when the porters and guides saw that I pulled the picture out at the top! The Tanzania trip was by far the best time of my life. It persuaded me that Medicine is a career that I want to pursue, and it showed some of the toughest aspects of it; from watching sloughectomies of necrotising fasciitis to playing with children at one of the many local orphanages. The value of life, the quality of life, has become re-defined. I value my life so much more after my Africa travels and I know that I can enjoy my privileges to some extent, because it would be unfair to those without the same opportunities not to appreciate what I have got. Rather interestingly, it probably has made me wanting to be a surgeon in the future. There is something special about the cutting up of people and the immediate fixing of the problem. I do not regret scrubbing in, I was foolish, but it was a sign of a my hunger to be a doctor. I regret risking the man’s life, but I do not regret that I took the chance to help him and, potentially, save his life or at least improve his quality of life. A mass movement as the Arab Spring, Greek riots, and Russian winter. A demonstration of people power, but also one of the more looked down upon. However, I support the 99%’s protests. I agree to many points that the demonstrators are making in Zuccotti Park, on Wall Street, starting on September 17, and all around the world: we are living in a world that is greedy and too focused on economical growth. At some point, we cannot grow more, we cannot spend more, and at some time we have to answer for our irresponsible use of resources. We are wasteful in the West. We have the knowledge and money to develop green technology to be implemented on a broader spectrum, but we are not. Oil and motor companies are buying up green technology and delays its implementation and lobby for expanded rights to drill for oil and destroy our forests. The movement certainly does not have the support of the alleged 99%, but they are certainly campaigning for the health and benefit of the 100%. First of all, we must reconsider our lavish living. Secondly, it was very important that there finally was a mass movement to highlight that 1% of e.g. the American population possesses 38% of the total income. The most interesting factor might even be that the wealthiest people’s share of total wealth increased during the recession (from 2007 and forward). This means that the average citizen lost out against the rich during the depression. However, perhaps one should note that between 2007 and 2009, the income of the wealthiest 1% decreased by 17% (opens in new window). Keep on shouting for change, because one day, believe it or not, it will come. The world’s perhaps most innovative man, besides Bill Gates, when it comes to IT and design passed away on October 5 in the complications of pancreatic cancer. He founded Apple and Pixar Animation Studios, earned himself a name among the greatest thinkers and re-inventors. Starting with Macintosh computers, he was undoubtedly most praised for the iPod and iPhone. I have had several models of the two latter and I absolutely depend on especially the iPhone to get around today. I have used the GPS function to find my way, used applications to translate whole books, and discovered a totally new means of communication. On October 27, the European Union (EU) strengthened the collective EU stability fund. A big step in combating the already criticised and possibly volatile collective nature of the EU. The EU has experienced great disturbances since 2009, with Ireland and Portugal being on the verge of collapse. 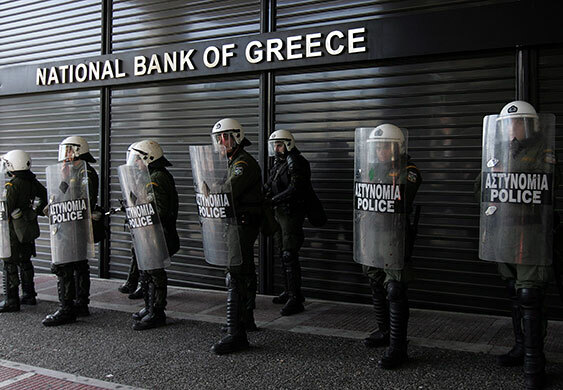 Both times, the EU helped with bailouts. Media coverage here in Europe focuses only at this perceived crisis. I will not say that it is not bad, because with a reimbursed EFSF (or: financial security fund for the whole EU) of €1 trillion (!) there are large stakes at risk, but thing is that it is lowly getting better. The Euro, the common EU currency, has actually remain stable and there are relatively few countries that so far have been affected directly by the crisis. In 2011, German chancellor Angela Merkel and French President Nicolas Sarkozy have met frequently to find the solution as to how to save Greece from falling into the same abyss that Ireland and Portugal were close to falling into. Thing is, that the Euro taxpayers are fed up with seeing their national money go to other countries, especially when these countries seemingly created the mess themselves. The rage that followed has been ventilated publicly in heavy and violent rioting. Inspired by the Arab Spring, protesters in their thousands have called for reform and urged the sacking of the current leadership. Prime Minister Georgios Papandreou of the Socialist leading party stepped down as a result on November 11, and was succeeded by the economist (economist!) Lucas Papademos. 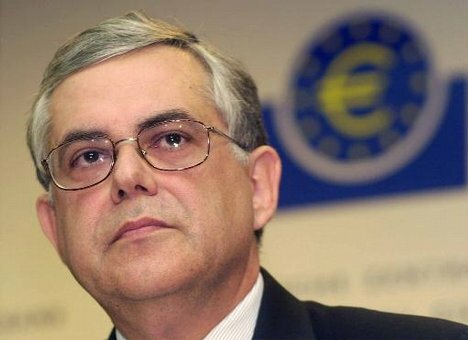 Papademos is to head an interim government to ride out the crisis, and the fact that he is a trained economist and not politician is a promising sign. Let us hope that there is more than symbolism in the new leadership. For the sake of the whole EU. The message here is, that people once again proved that the masses can invoke change. To, rather foolishly, challenging the government in protesting is something I now support. However, the violence that followed, especially in Greece, I must denounce heavily. 12 years after reaching 6 billion, we on October 31 reached a scaring milestone: we are now 7 billion people walking this earth. The United Nations declared the milestone symbolically (precisely counting the number of people on the Earth on a certain time is impossible) on October 31, and to many it has been something to fear. Here, I have a lot to say, perhaps too much for a 2011 general overview post, so I will briefly say the most vital points. I vomit a bit in my own mouth when I hear people saying that people have to die in order for us to survive as a race. That is not true. Karolinska Institute professor Hans Rosling agrees (opens in new window). The problem is not necessarily the number of people on the Earth, the problem is how we, the privileged 10%, are living. Hans Rosling: everybody should have the right to a washing machine. We are living well beyond the resources, and the fault is in us in the West. It is disgusting to hear people saying that it is the 5-child African family’s fault that we have global warming and are using up our limited natural resources. It is our TV, computer, modern kitchen, cars (! ), and washing machine that slowly makes the world deteriorate. It is up to us, the privileged 10%, to find green solutions to our lifestyle – not up to the African people to die. They, on the contrary, have every right in the world to possess the same resources and modern living that we possess. Fortunately, for us, the 10%, they have not yet got it – only because some people are suffering, we are still living and the Earth functioning properly. We should be grateful to the poor peoples’ sacrifice – NOT bathe in further lavishness and luxury. In early December, tension started running high following the December 4 election to the Duma (the Russian parliament). Small protests started the next day to challenge the victory of United Russia (Vladimir Putin’s centrist, conservative, nationalist party) who by receiving only 49% of the votes still gained over 50% of the seat in the Duma. A corrupt system to some, especially foreign observers and media. On December 10 it had grown into a mass movement that saw the greatest protests in the history of modern Russia. The main criticism was and is today against Prime Minister Putin (who has declared that he will run for the 2012 presidential elections) and President Dmitry Medvedev of United Russia. 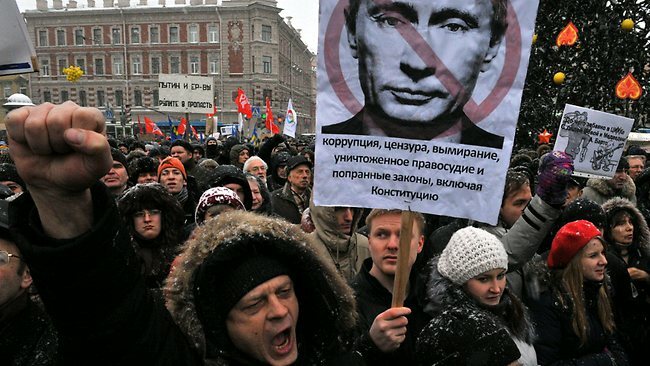 There have been contra-demonstrations by the Young Guard of United Russia and other pro-Putin groups, but in foreign media we have mainly seen anti-Putin protests. On December 5, there were 5 000 people in Moscow. A clear sign of the discontent of Putin’s iron-hand rule, starting a chain of demonstrations in mainly Moscow and Saint Petersburg. Russian media, which is mainly state-controlled, at first focused on depicting rallies for the government, and other protests were barely covered within Russia. However, as workers within the media departments warned that they would not send anything if they were not allowed to publish stories on both sides of the protests, the Russian people for the first time have been able to follow objective and thorough reporting on the actual political situation in their country. 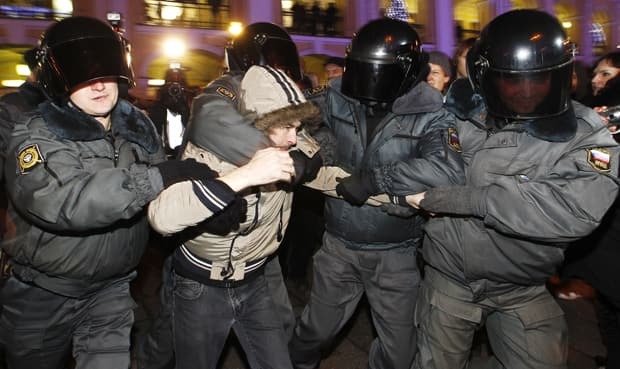 Protesters have been treated harshly by the authorities, under Putin’s party’s control. On December 8, 30 000 people accepted the Facebook invitation to attend the government-accepted demonstration at Bolotnaya Square, and an alleged 50 000 attended the actual meeting. They have called for the following changes: political prisoners to be released, annulment of election results, investigation of the suspected 2011 vote fraud, registration of opposition parties and a more democratic legislation, and new democratic elections to be held. Previously, the Russian people have tended to accept authority over freedom as long as the situation of the country has been stable and acceptable, but with the rise of the internet and increased communication over the borders, they have understood the value of an open and democratic society in order to build a functioning society. That is the society they are protesting to get. 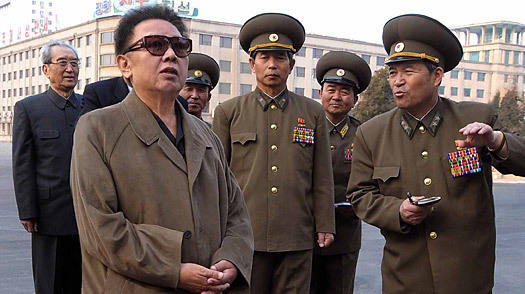 Kim Jong-Il in his iconic simple brown cloak and shadowed glasses. One of the modern dictators of our time have gone under, but not for the hands of his people. Instead, when Kim Jong-Il passed away on December 17, the North Korean people mourned the death of the Great Leader, son of the Korean War hero Kim Il-Sung. Jong-Il has, just as his father, consolidated the Communists’ power in the country, on the cost of the people. Hundreds of thousands have been forcibly displaced to camps for political divergence from communism and corruption has grown deep into the political system as the poor suffer harshly. In some way, he has managed to make the people love him. By letting young children to to pre-school, he has been able to impose propaganda measures and has undoubtedly cultivated (literally) support for a lifetime. This very summer, it was reported that 60% of the children in North Korea were suffering from malnutrition and silence. There was, possibly, a famine in the late 1990s that killed a million people, but there is so few sources in the West that we cannot accurately announce this. Question is if the son, Kim Jong-Un, can fill the shoes of his father and his grandfather. Little is known of Jong-Un, and future only can tell the effects of the loss of the Great Leader on the fanatically loyal North Korean people. Like father (left), long (!) son (far right). After 4 400 American deaths and $700 billion in spending, the US finally has pulled out of Iraq. This was one of President Obama’s election points and on December 18, the last troops withdrew from the country. On October 21 Obama restated that all remaining 50 000 US troops will withdraw (as stated at earlier stages and as indicated by the 2010 withdrawal of US combat brigades) from the country by the end of the year. 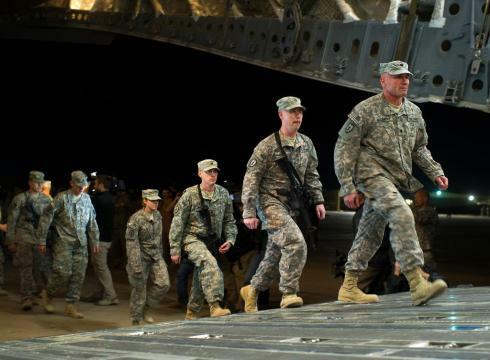 Last soldiers board the plane to leave Iraq. Obama has made it clear at several times that he has opposed the war in Iraq, and I have also held that opinion. It has cost the US a whole lot, they think, but the cost that the Iraq people has paid and will pay in the future is too high. The Lancet, the most respected medical journal in the world, has estimated the number of excess (indirect) deaths to be 654 000 and other sources put the number of civilian deaths at between 120 000 and 130 000 and the number of combatant deaths at approximately 30 000. Suicide attacks, kidnappings, and other terror attacks is something we have almost become blind to here in the West because of the frequent reporting on it. It is happening so often that we no longer care – but the Iraqi people are dying, injured, and crippled because of one man’s decision to expand US influence in an oil-rich Middle East. The withdrawal ceremony from December. Personally, I salute Obama’s decision to withdraw militarily from Iraq. But I also hope that he takes responsibility for his country’s – although it was the Republican Party – decision to invade, because the effects and aftermath of the Iraq War have been so deep and horrible that the US as a nation holds a great responsibility to support Iraq throughout the establishment of a democratic and well-functioning state. Today is the 1st of January, the end of 2011 anno domino and the start of 2012. This day marks the end of a turbulent and tragic year, but also of a year of togetherness and thought. A period of revolt, revolution, and retribution. A year of justice, joint action, and jest. An overall over-turning year. We have all been shocked, surprised, and scared by 2011, the year the World was supposed to go under; and to some, it did. The importance of this period must not be forgotten. I know that I will not diminish this year, but instead I acknowledge the impact it has made on me. It has shaped me not only as a maturing person, but also as a global citizen that has the power to change, to revolt, to revolutionise, and to stand up and fight for what is right. Question is: did you experience the same 2011 that I did, and more importantly: what have you learnt? We must remain foolish and hungry in order to search for our own potentials and skills. In my case, Africa provided chances for me to be foolish and has made me hungry to experience more in the future. I hope that you, having visited Africa or not, also have understood the message of finding your meaning of life, what you live for, and what makes you reach your self-completion and self-actualisation. 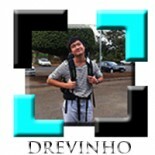 This entry was posted on 2 januari, 2012 by drevinho in Favoriter/Favourites, Internationellt/Internationally and tagged 2011, favoriter, revolution.